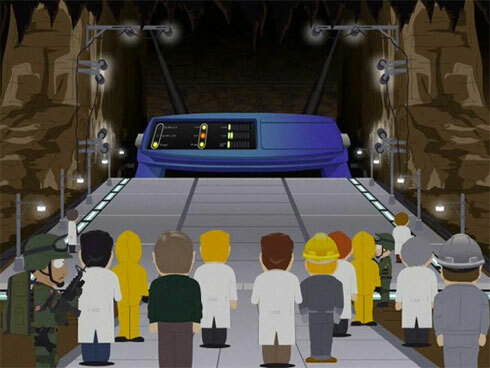 What comes to mind when you hear the words, ‘Huge F***ng Router’? A router so big that it takes up an entire office building, like way back in the day when a computer took up an entire room? For me, personally, I think of a little kid looking up at a computer tower the size of a skyscraper. In today’s IT world there is no piece of equipment that is going to take up that much space. The Carrier Routing System (CRS) is a large-scale core router that was developed by Cisco Systems. These systems have the capability to combine multiple line card chassis which, in turn, allows one unit to replace a cluster of Internet core routers in a single site. While this device was in development, it was known by the code name, HFR, or, Huge F***ing Router. For the sake of keeping swearing down in offices across the globe, they later renamed it Huge Fast Router. This falls in line with the naming of Cisco’s previous service provider router (GSR 12000 series) whose developmental name was BFR (Big F’n Router). The BFR even had a logo of a giant fist punching through a globe. When this CRS-1 was launched in 2004, it became the largest production router to date, toppling one developed by Juniper Networks, an arch-enemy of Cisco. Besides being twice as fast as the competition, the CRS-1 had many more advantages that included software support and remote process placement. Flash-forward several years later to 2010, and Cisco’s CRS now has two families: the CRS-1 and the CRS-3. CRS-3 has three times the switching capacity, with each switch-fabric line being able to process 140 Gb/s instead of the 40 Gb/s that it could process in its previous model (CRS-1). Cisco claims to currently have the fastest- and highest-capacity core routing platform in the world with the CRS-3. This entry was posted in IT Hardware, IT News and tagged bfr, cisco crs, cisco systems, crs, crs-1, crs-3, hfr, juniper networks, line card. Bookmark the permalink.